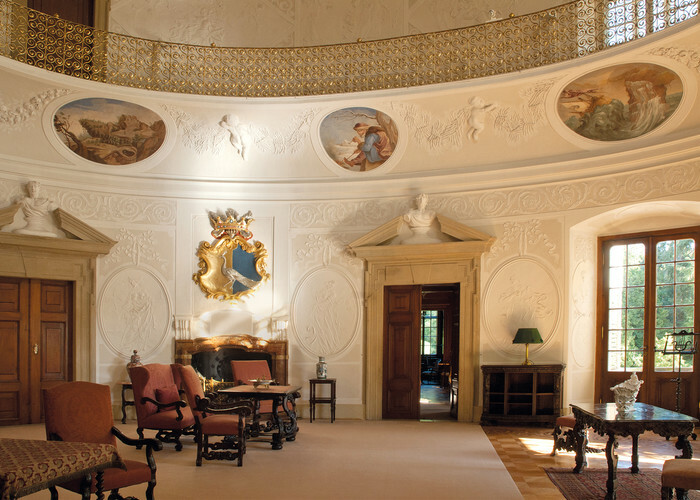 The current guided tour comprises 17 chambers, bedrooms, lounges, and gallery corridors which introduce the visitors in both private and official areas of the former Berchtold noble seat. 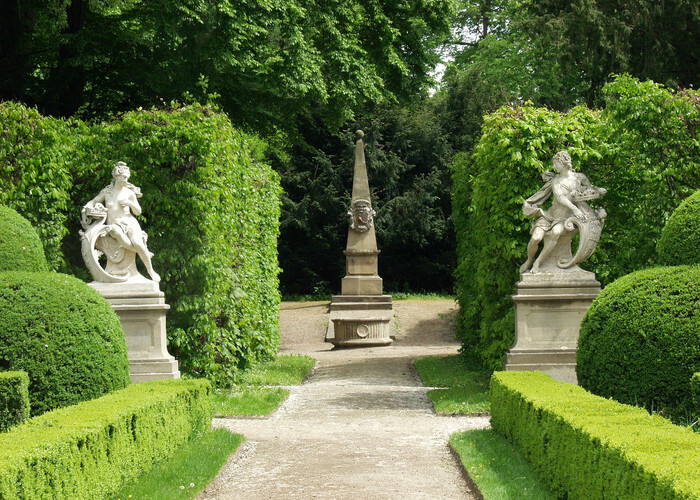 The garden is composed of a central jardin à la française (French formal garden) surrounded by a typical English landscape park. The seeds of numerous precious trees and shrubs had been collected during the travels of the Berchtold family all over the northern hemisphere.